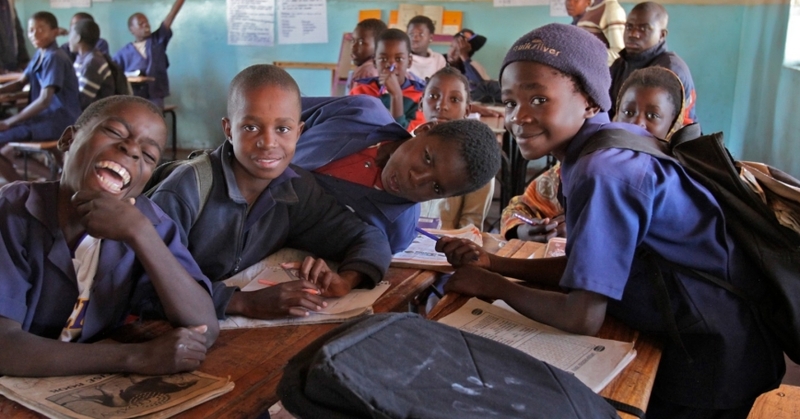 Students smile for a photo in a Zambian schoolhouse. The RAND Corporation has developed a new web registry that aims to increase transparency in the performance and reporting of studies of the impacts of programs, minimizing concerns over several well-known types of bias in research or reporting. The Registry for International Development Impact Evaluations, known as RIDIE, was created for the International Initiative for Impact Evaluation (3ie), and will serve as a registry of impact evaluations related specifically to development in low and middle income countries. Its chief objective is to support overall improvements in the quality and integrity of evaluation evidence in these countries, and thus provide a better basis for policy decisions. It does so by enhancing the transparency and quality of evaluation research and by providing a repository of planned and ongoing impact evaluation studies. RIDIE serves several core user groups, including researchers, professional evaluators, funders, journal editors, students, policymakers, and practitioners. RIDIE is intended to be a prospective registry in which researchers publicly record information about their evaluation designs before conducting the analysis, and ideally before data are collected on impacts. This will encourage the reporting of all findings, including those that show no or unexpected effects of a program, ensuring that policymakers have a better understanding of which programs work and which do not. At RAND, the registry's design team consisted of Peter Glick, Albert “Bas” Weerman, Sebastian Bauhoff, and Christopher Skeels. More information about RIDIE, including details about a lottery for free tablet computers that will be given to some of the first researchers who register, may be found here.